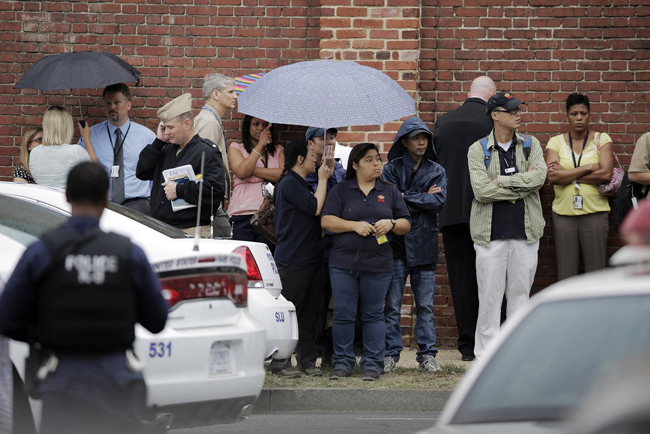 WASHINGTON (CNS) — As military, police and federal investigators searched for a second suspect in the Sept. 16 shootings at the Washington Navy Yard that left at least 12 dead, religious leaders and public officials offered prayers for the victims and their families. Archbishop Broglio said the “terrible loss of life” shocked and saddened him, particularly as it occurred at a familiar place where he has often visited and celebrated the Eucharist. 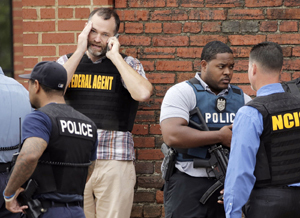 Washington’s police chief and mayor and others in law enforcement told reporters for various news organizations that 12 people were dead, including one man believed to be one of perhaps two shooters in the attack that unfolded shortly before 8:30 a.m. (Eastern time) in one of several large buildings at the Navy facility. The Associated Press said law enforcement officers identified the dead shooter as Aaron Alexis, a 34-year-old from Texas. It wasn’t clear how Alexis died. Late in the afternoon, the search was continuing for a second man thought to have been involved. “As this investigation moves forward, we will do everything in our power to make sure whoever carried out this cowardly act is held responsible,” Obama said.